The annual Financial Inclusion Week will bring together a variety of stakeholders to discuss this year's theme: "Getting Inclusion Right." The week, which is hosted by the Center for Financial Inclusion, will host several events that seek to answer the question: What do we need to get right to ensure that gains in access lead to true improvements in the lives of the underserved? As part of the week, SPTF will host a webinar on Oct. 31 on bridging the digital divide. The Global Impact Investing Network (GIIN) Investor Forum convenes investors to advance impact strategies within the wider finanical ecosystem. SPTF will lead a panel session on microfinance market developments, discussing issues such as the evolution of the microfinance market and how technology advancements are affecting impact strategies. Registration is open here. The Asia-Pacific (APAC) Microfinance Forum will gather a variety of stakeholders from the region to discuss trends in financial inclusion. Representatives from SPTF and the Smart Campaign will lead a keynote discussion on the advancement of standards for responsible digital financial services and how to keep clients at the center in the evolving digital landscape. Registration is open here. Webinar: Bridging the "digital divide"
Digital financial services come with the promise of deepening financial inclusion, but are they creating a new type of exclusion? Join this SPTF webinar, which is part of Financial Inclusion Week, to take a critical look at the widening "digital divide" and discuss solutions for providers who want to keep their focus on responsible financial inclusion, even as they join the digital revolution. To join, view WebEx details here. This year's Sanabel Conference will focus on how financial service providers can serve clients responsibly and provide value in a broadening ecosystem of digital services and products. SPTF and CERISE will lead a panel on social performance trends in the region, as identified by SPI4 audits, and SPTF will lead an additional panel discussing the applicability of SPM to commercial banks. Registration is open here. European Microfinance Week, hosted by the European Microfinance Platform (e-MFP), convenes global stakeholders to discuss a variety of topics related to financial inclusion. This year, SPTF will participate in four panels, including discussions on the applicability of the Universal Standards to new actors and the development of an SDG framework to guide investors' strategy. Registration is open here. SPM Videos: RENACA and ACFB. 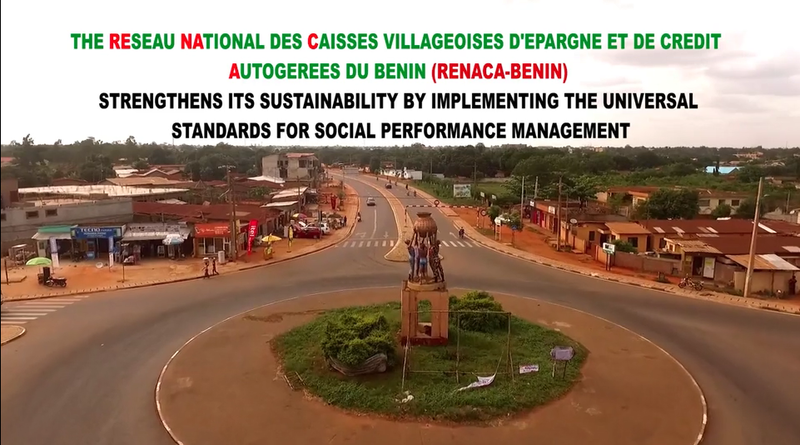 SPTF worked with ACFB and RENACA, two financial service providers in Benin, to create training videos on how improved SPM practices benefited their businesses. The videos are available in French (RENACA; ACFB) and with English subtitles (RENACA; ACFB). Case study: ACFB. SPTF also wrote a case study on how ACFB survived a crisis and then steadily improved its overal performance through investment in strong SPM practices. The case study is available in French, and an English version will be available soon. Case study: Fondo Esperanza. The case study on Fondo Esperanza (Chile), published by the SPTF Outcomes Working Group, is now available in French here. The case study explains how Fondo Esperanza uses outcomes data to inform its own strategic and operational decisions, as well as to communicate with clients on their personal progress. The case also lists the specific indicators that Fondo Esperanza uses to measure client outcomes in its four focus areas: business development, family well-being, empowerment, and social capital. The case is also available in English. Visit the series webpage to listen to recordings and view presentations from all series webinars. Past topics have included improving pricing transparency, preventing overindebtedness, and implementing client complaints' mechanisms. All topics had webinars in French and in English. CDC-SPTF FinTech webinar series. Earlier this month, SPTF hosted the latest installment of its FinTech webinar series for investors. On the webinar, Monica Brand Engel of Quona Capital discussed how her institution leverages partnerships to identify technology risks and opportunities in FinTech investments, all with the goal of making sure investees provide value to end clients. RippleWorks, one of Quona's partners, joined the call to discuss how it matches Silicon Valley experts -- who are working pro-bono -- with social enterprises in emerging markets. View the presentation, listen to the recording, and read the brief. This webinar is part of a larger series hosted by the CDC Group and SPTF that aims to help investors better evaluate SPM risks and end-client benefits in FinTech investments. Visit the series webpage to view recordings, presentations and briefs from past webinars, which have included issues such as evaluating risks with pricing transparency and agent management networks. SPTF Social Investor Working Group (SIWG) update call. The SIWG, which aims to advance responsible investment in financial inclusion, held a call earlier this month to share updates on priorirty workstreams identified by its investor members. Discussions included how to better manage reporting on the SDGs, using the Impact Management Project framework, and a potential responsible digital transformation lab, which would support MFIs in their digital transformation while also nurturing FinTechs that have designed scalable solutions for the financial inclusion sector. Visit the SIWG webpage to view the presentation, listen to the recording, and read the minutes. Workshop: Maintaining the social promise of financial inclusion. Leah Wardle, a senior SPM consultant at SPTF, led a worksop at the MFC-EMN Annual Conference in Bilbao, Spain earlier this month. The workshop focused on maintaining the social promise of financial inclusion in a competitive market. Speakers included Cameron Goldie-Scot, CEO of Musoni Services, and Joris Crisa, Regional Manager for MENA at MicroFinanza Rating. View the workshop presentation here. 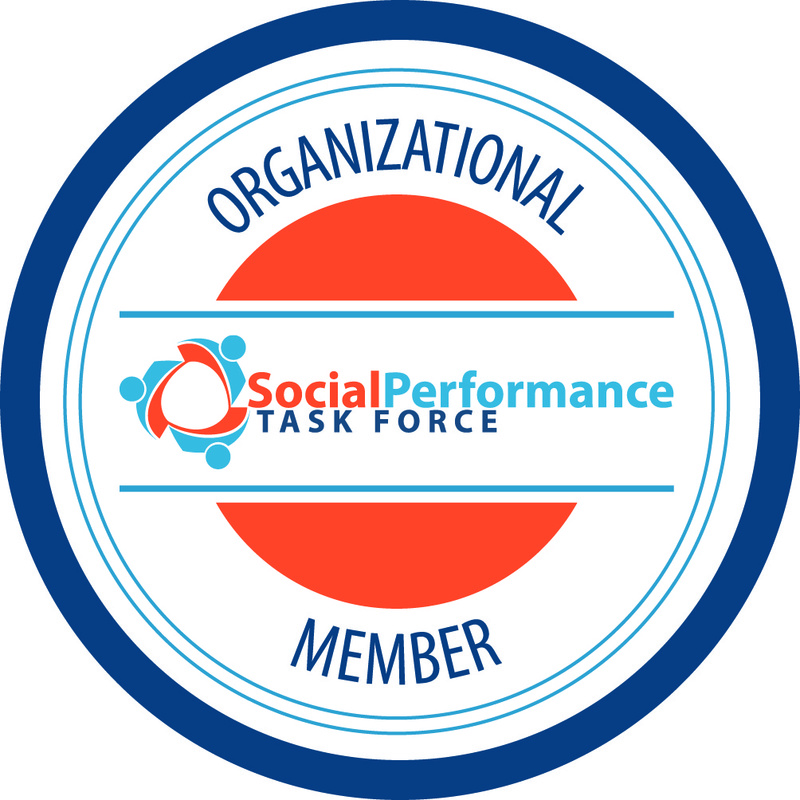 SPTF is pleased to welcome two new members to its Board of Directors. All board members have been elected by peers in their stakeholder groups. Daniel Rozas (MIMOSA) - Daniel is a Senior Microfinance Expert at e-MFP and a consultant and researcher on a broad range of topics. Daniel is also co-founder of the MIMOSA project, which provides a methodological assessment of market saturation and risk of over-indebtedness for leading microfinance markets. Eugénie Constancias (Entrepreneurs du Monde) - Eugénie is the Social Performance Manager for Entrepreneurs du Monde (EDM), where she develops practical solutions to help FSPs implement the Unviersal Standards for SPM. Her work involves helping organizations define their mission, theory of change, and targets, as well as helping them define sets of indicators and processes to track clients' socio-economic profiles. 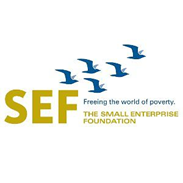 SPTF is happy to announce that it has received additional funding from the Government of Luxembourg, via the European Investment Bank, to expand activities of the Responsible Microfinance Facility (RMF). The funding will focus on supporting the digital transformation of financial service providers through trainings and through co-financing digital readiness assessments and upgrade projects related to digital transformation. Responsible Microfinance Facility (RMF) for Africa and the Middle East. Funded by the Agence Française de Développement (AFD), with additional project funding from the Government of Luxembourg via the European Investment Bank (EIB). To learn more about the facility, visit its webpage. The next application deadline is December 3. Responsible Inclusive Finance Facility for Central America and the Caribbean (RIFF-CAC). Funded by the Swiss Agency for Development and Cooperation (SDC), with additional project funding from the Government of Luxembourg via the EIB. To learn more about the facility, visit its webpage. The next application deadline is November 16. Digital Access: The Future of Financial Inclusion in Africa, a report that includes a section on transformation strategy. Alternative Delivery Channels and Technology Handbook, which gives step-by-step guidance in developing strategies for transformation. These resources are helpful to start thinking about digital transformation. Additionally, the Responsible Inclusive Finance Facilitiees in Africa, the Middle East, Southeast Asia, and Central America and the Caribbean provide co-funding for FSPs who are interested in conducting a digital readiness assessment or have identified an upgrade project to help them transform. MicroSave has been publishing a series of communications on the emerging digital divide, particularly focusing on the drivers of the divide, which include inadequate infrastructure in rural villages to support FinTech, lack of access to smartphones in poor households, lack of literacy and numeracy, and mistrust of technology. The publications can be found here and here. The Microfinance Gateway, CGAP's knowledge-sharing platform, has renamed itself the FinDev Gateway. "FinDev, which stands for 'Financial Inclusion for Development,' is part of a strategic repositioning of the Gateway, which has evolved from a microfinance online repository established nearly 20 years ago into a knowledge-sharing platform engaging the broader financial inclusion community," Greta Bull, CEO of CGAP, said in the announcement. Last month, CGAP published a blog post discussing how evidence of extremely high default rates on millions of loans in East Africa suggest the need for funders to rethink how they support digital credit markets, and it particularly emphasized the need for an increased focus on client protection. The post was part of CGAP's series called Digital Credit: Borrower Experiences and Emerging Risks.